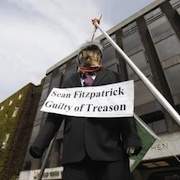 Tension is increasing within the Dublin coalition government over its continuing attempts to maintain the nationalised Anglo Irish Bank as a going concern. A leading figure in the Catholic Church has blasted the establishment media for its failure to question the British line on the 1972 Claudy bomb attack. 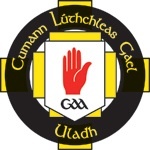 A rocket was fired at a GAA club in County Tyrone in an escalating loyalist campaign against the Gaelic sports association. The PSNI have been accused of provoking a riot in the seaside town of Ballycastle, on the north Antrim coast. Up to 50 Irish campaigners are to help mount a second humanitarian aid flotilla to Gaza, it was revealed today. 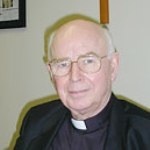 Bishop Edward Daly speaks out about a 'less challenging style of journalism at work now'. An inquest into the death of ‘super-spy’ Denis Donaldson has been adjourned for the fifth time at the request of the Gardai police in the 26 Counties. 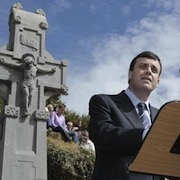 An address to the Michael Collins commemoration in County Cork by Fianna Fail’s Minister for Finance Brian Lenihan has led to considerable discussion about the end of ‘civil war politics’ and a potential realignment in Irish politics. A nationalist residents group is planning to block the Crumlin Road in north Belfast if yet another sectarian march due to take place this weekend is not rerouted. Calls for an all-island taxation and social welfare system in Ireland are to be made through local authorities on both sides of the Border. A ban by Environment Minister John Gormley on using commercial vehicles for family journeys has sparked a coalition rift. Many of the Bloody Sunday relatives have spoken publicly about their feelings since the publication of the Saville report for the first time at Belfast’s Feile an Phobal. 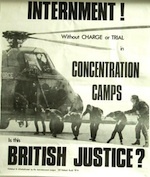 The British government conspired to cover up one of the worst atrocities of the conflict, an investigation has found. 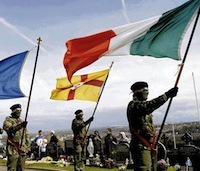 One of the breakaway IRA groups heavily involved in the recent upsurge of armed actions has confirmed that it is growing in strength and that most of its members are former members of the Provisional IRA. The PSNI are facing court action alongside organisers of a sectarian band parade in Rasharkin after the parade was illegally directed along a different route last Friday. 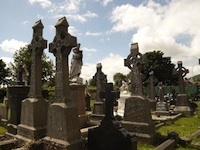 A County Sligo community is reeling after English-based ‘landlords’ staked claim to property that the original owners left almost a century ago. A documentary to be screened next Sunday will air suspicions that British intelligence had advance knowledge of an IRA attack in Holland, in which two Australian tourists died, but failed to stop it. Republican Sinn Fein has accused a new splinter organisation operating under the name ‘Real Sinn Fein’ of engaging in a “policy of disinformation” against their former colleagues. Extracts from the interview between the Irish News and a representative of ‘Oglaigh na h-Eireann’. There has been a protest at Derry courthouse this [Friday] morning following the arrest and detention of prominent local republican Gary Donnelly. The PSNI has refused to say why it did not divert civilians away from a dissident republican bomb attack for 15 minutes until the device was about to explode. 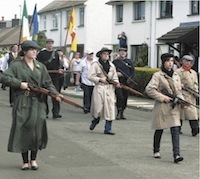 Residents of an overwhelmingly nationalist County Antrim village are furious that the Parades Commission has accepted a route for a sectarian loyalist parade without consultation. Sinn Fein has criticised a call by the rival nationalist SDLP for control of state intelligence operations in the North to be transferred to the PSNI police from British military intelligence agency, MI5. As the countdown to an official visit by the British head of state to the Twenty-Six Counties continues, details have been announced of the latest protests against the move. 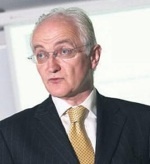 Sinn Fein’s Six-County Development Minister Conor Murphy has suspended his most senior civil servant under amid a controversy over the award of contracts for water supply. An account of the life of Irish military leader Michael Collins, who died 88 years ago this week. The Apprentice Boys’ ‘Relief of Derry’ march -- the largest sectarian parade of the year -- passed quietly on Saturday following reports of dialogue between nationalist groups and the Stormont and British administrations. The DUP and Sinn Fein have been challenged to scrap the entire draft parades legislation after making an apparent U-turn on some major elements. The British government should acknowledge at “the highest level” the truth about the shooting dead of a 12-year-old girl by a British soldier in south Armagh 34 years ago today, politicians have said. An increase in electricity prices will cause further hardship to those struggling to pay bills as new figures show the Electricity Supply Board (ESB) is cutting power to 900 households per month over non-payment of bills. The Republican Network for Unity has slammed what it said was an attempt to blackmail and threaten one of its members. Some 10,000 people gathered in Bellaghy, County Derry for Sinn Fein’s annual hunger strike commemoration. The British government has talked to dissident republicans in recent weeks, Sinn Fein’s Martin McGuinness has said. Unionist paramilitaries have targeted the homes of Catholics in Antrim town with pipe bombs as sectarian tensions once again ratchet up in the Six Counties. 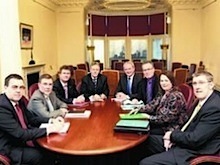 Sinn Fein has said it is the only party in the Dublin parliament opposed to the 3 billion euro in planned spending cuts. Unionists have attacked each other over the possibility of Sinn Fein’s Martin McGuinness becoming First Minister following next May’s election to the Belfast Assembly at Stormont. GARC (the Greater Ardoyne Residents Collective) has issued what it says is an attempt to set the record straight on the July 12th protests against an Orange Order march in north Belfast. A dirty protest between republican prisoners and the authorities at Maghaberry jail in the North has been resolved to the prisoners’ satisfaction following talks. A loyalist mass murderer Torrens Knight has been controversially freed from prison a second time. Efforts to end a dirty protest by republican prisoners at Maghaberry jail have made little progress, but talks involving the Six-County department of justice and the North’s Prison Service are continuing this week. The British Direct Ruler in the North, Owen Paterson, has used his ‘executive power’ to permanently seal off a road in County Down near a British Army base. 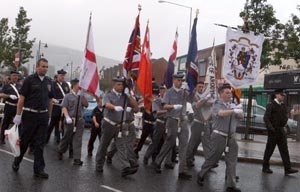 The loyalist Apprentice Boys parade has been given the go-ahead to pass by the Ardoyne shop fronts in north Belfast on Saturday. 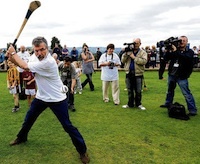 Sinn Fein President and West Belfast MP Gerry Adams has praised all of those involved in the west Belfast festival, including a hurling event in the grounds of the Six-County Assembly at Stormont. The recent suspension of Section 44 of the British government’s ‘Terrorism Act’ has not deterred the PSNI in harassing nationalists. An incompetent Dublin government has allowed a second wave of jobs losses to further undermine the 26-County economy, with unemployment in the state reaching a 16-year high, opposition leaders have said. Sinn Fein has warned that tensions are rising in Derry ahead of a major sectarian parade in the city. Sinn Fein has expressed outrage after the Republican plot in Milltown was desecrated last night. A police investigation is underway after evidence of fraudulent expenses claims by Senator Ivor Callely was published by the tabloid media. The slaughter of three band members saw the unintentional exposure of the involvement of British military personnel in directing and assisting unionist death squads in their murder campaign. 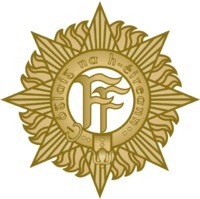 A PSNI base in Derry was damaged in a dissident bomb attack early this morning. Agreement has been reached on the development of the site of the former Long Kesh prison as a peace-building and conflict resolution facility. The families of 11 people shot dead by paratroopers in West Belfast are to present the British secretary of state for the North, Owen Patterson, and Stormont justice minister, David Ford, with a new dossier of evidence on the killings. Sinn Fein President Gerry Adams held talks with a loyalist group today [Monday] aimed at defusing tensions over sectarian parades in north Belfast. The full hearing of a legal challenge by Sinn Fein’s Pearse Doherty to the Dublin government’s refusal to move the writ for a by-election in the Donegal South West constituency is expected to be heard on October 18th at the High Court. A Walmart executive reportedly wept last week as he apologised to the family of two loyalist murder victims for the “deep hurt” caused after their killer was given his checkout job back despite having been sacked for sectarian remarks. The remains of a Crossmaglen man who went missing at the height of the conflict almost 30 years ago have been found. 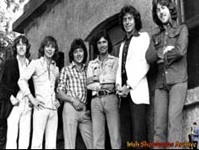 In August 1971, British soldiers went on a three-day killing rampage in Ballymurphy, murdering 11 innocent people. 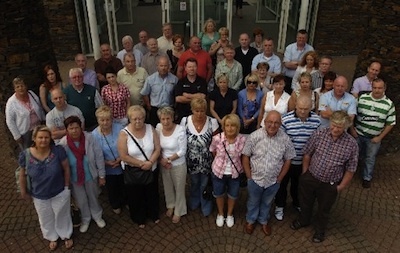 Now their families want justice for Belfast's Bloody Sunday.